Karina's Kreations: Easiest Card Ever! 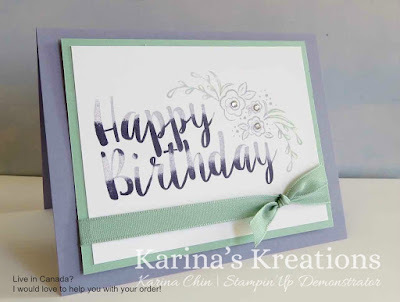 Do you need to make beautiful birthday cards quick? 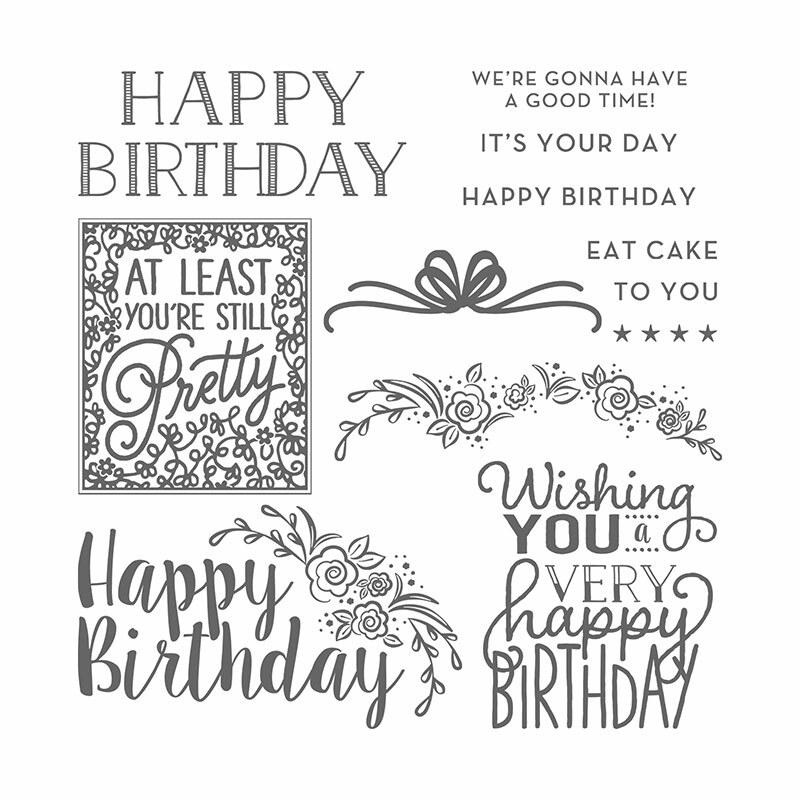 I highly recommend this stamp set to you. It's called Big on Birthdays #142877. The fonts are beautiful in this set!!!! 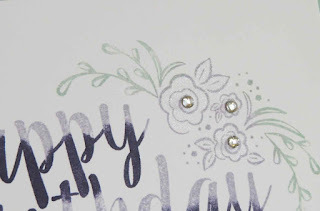 I created this pretty card by inking up the image with Wisteria Wonder ink. I added Elegant Eggplant and Mint Macaron ink to the same image with a sponge dauber. It's was so easy to do!!! I colored my flowers with a clear Wink of Stella Pen #141897 and added Rhinestone Jewels #119246 to the flowers. The Mint Macaron ribbon #141656 finished off my card. Live in Canada? Click this link to place an order!